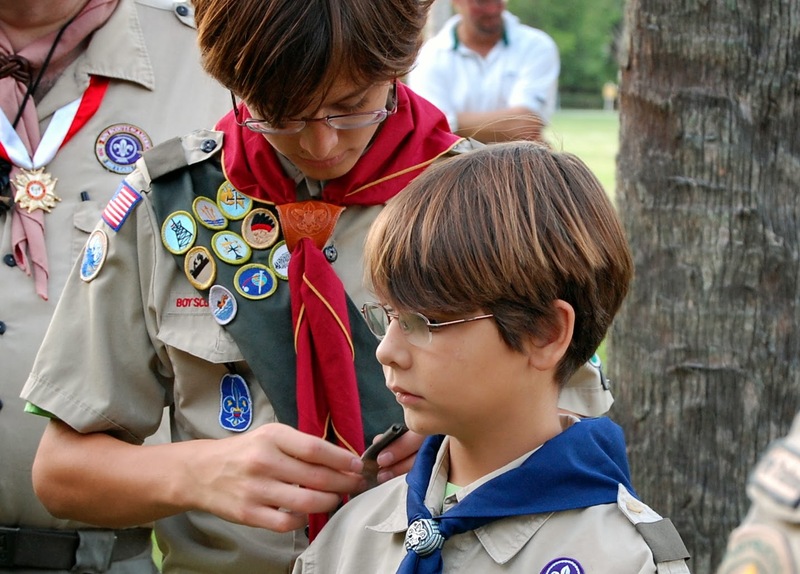 Last weekend, after much hard work and with much excitement, Kaden crossed over to Boy Scouts, with Adam guiding him and assisting him during the ceremony, just as Ian had done for him two years earlier. I did cry, just a little, as I tend to do when I'm bursting with pride and joy for my kiddos. 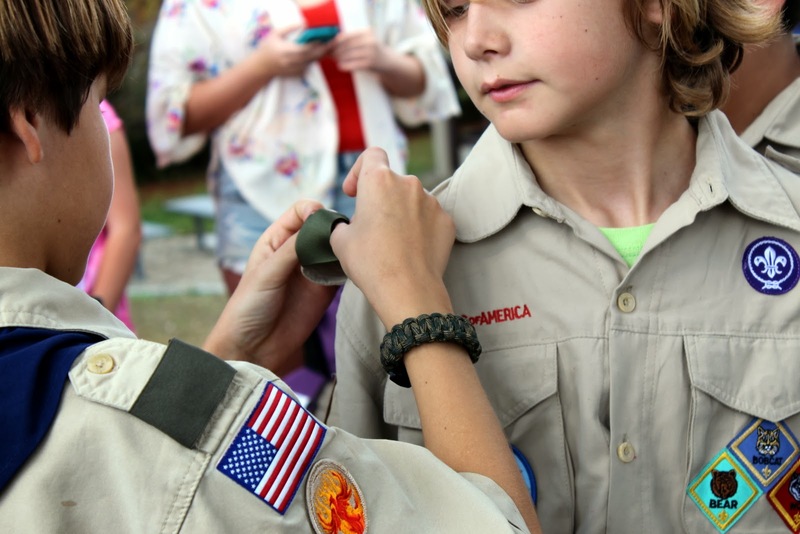 The Crossover Ceremony has held in conjunction with our annual Blue and Gold celebration, where Kaden also earned his Arrow of Light, and what a fantastic day it was. I wish I had pictures to share, but once this part of the ceremony was over the camera was put away - too much socializing and playing to do. The day was a perfect send-off for the boys and their families leaving our beloved pack for Boy Scouts. What a wonderful moment! So funny, my daughter just started Girl Guides (Sparks) this week... and that was my moment!